For several decades, a political discourse, which incites exclusion and hatred againt those who are perceived as different, has been gaining ground, most notably in affluent and developed countries. 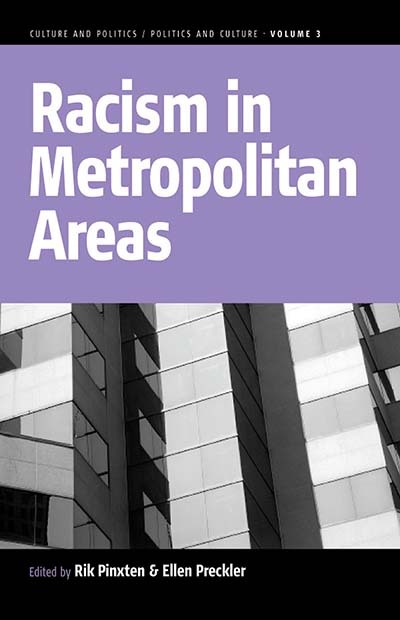 Focusing on the growth of racism in large cities and urban areas, this volume presents the views of international scholars who work in the social sciences and statements by non-practicing academics such as journalists and policy makers. The contributions of the scientists and the non-academic specialists are grouped around common themes, highlighting existing debates and bringing together widely scattered information. The book explores the ways in which old forms of racism persist in the urban context, and how traditional exclusion systems like casteism can be likened to contemporary forms like racism directed at refugees. Rik Pinxten is Professor and Senior Researcher in Anthropology and head of the Department of Comparative Sciences of Culture at Ghent University. He has published widely on the anthropology of knowledge and the comparative study of religion. Ellen Preckler is Junior Interface Officer of the city of Ghent, facilitating the interaction between policy circles and youth movements in urban contexts. Chapter 4. Limits of Tolerance and Limited Tolerance: How Tolerant are the Danes?